Last time I visited KL I sampled the delectable Marmite Frogs Legs at Wong Ah Wah, on Jalan Alor. 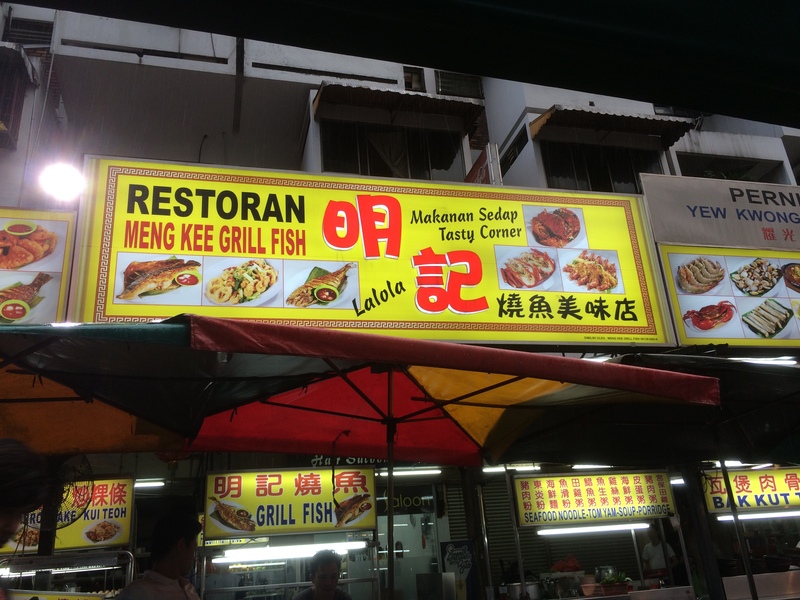 This time, following the advice of HUNGRY GO WHERE, I ventured next door for the grilled fish at Meng Kee Grilled Fish. 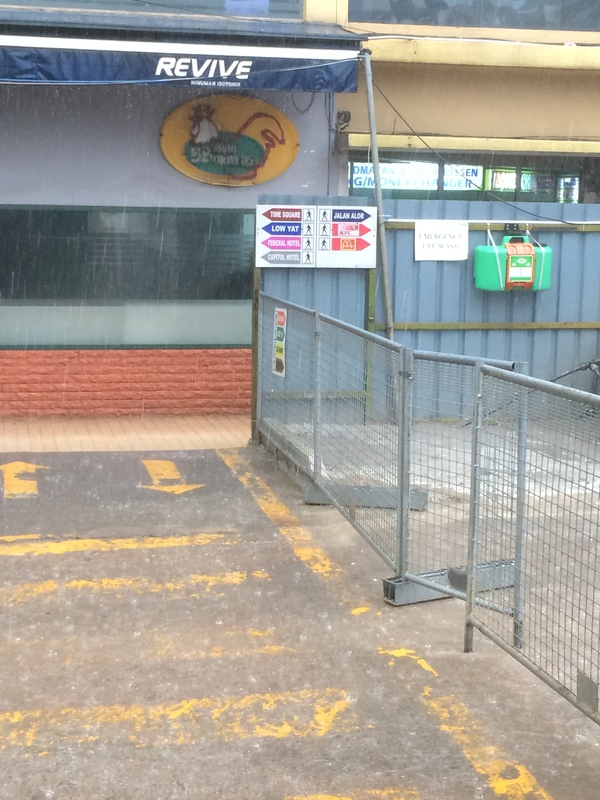 A massive tropical thunderstorm threatened my plans. But only temporarily. 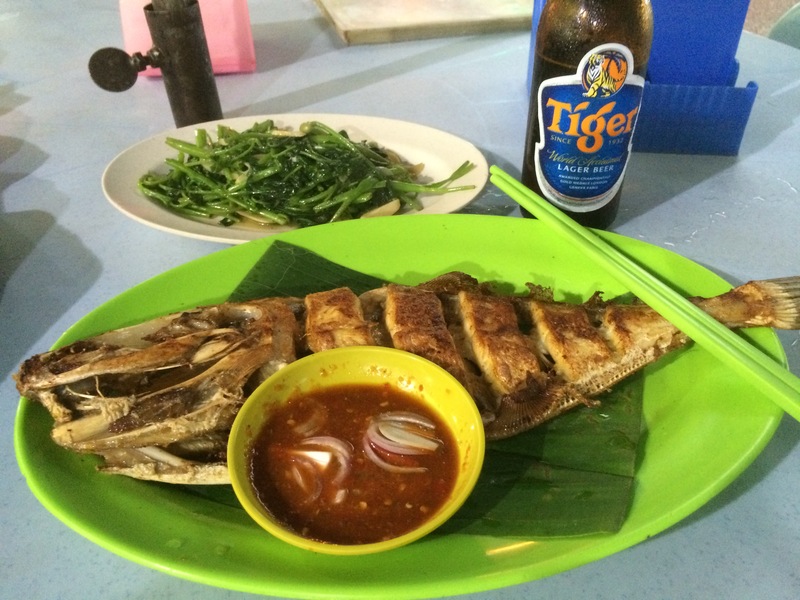 And now for the meal: a portion of grilled “chicken fish” (no one knows what this is), plus kangkong with garlic. And a local beverage cool down.